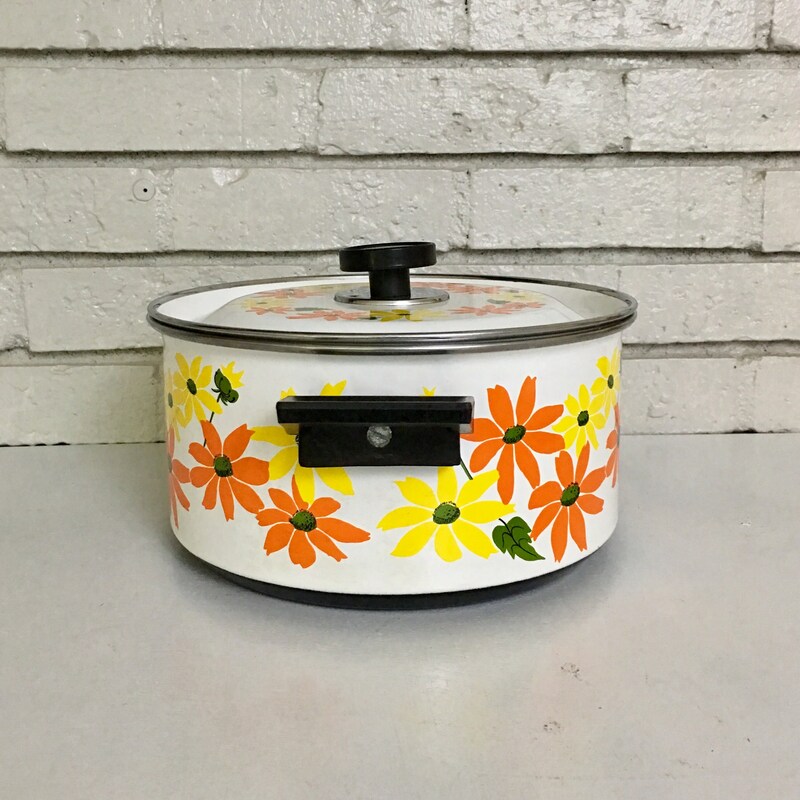 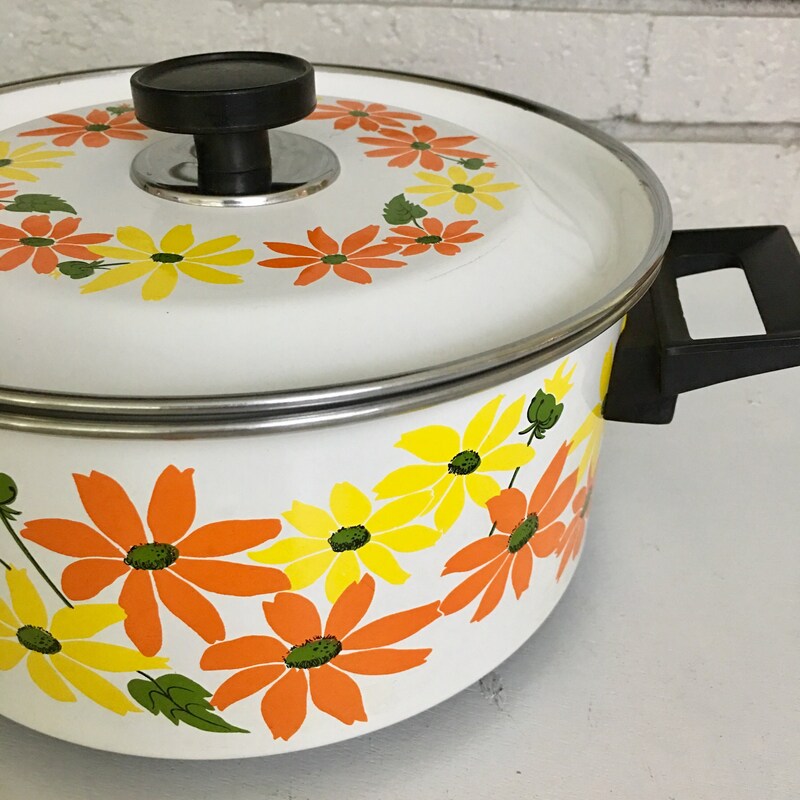 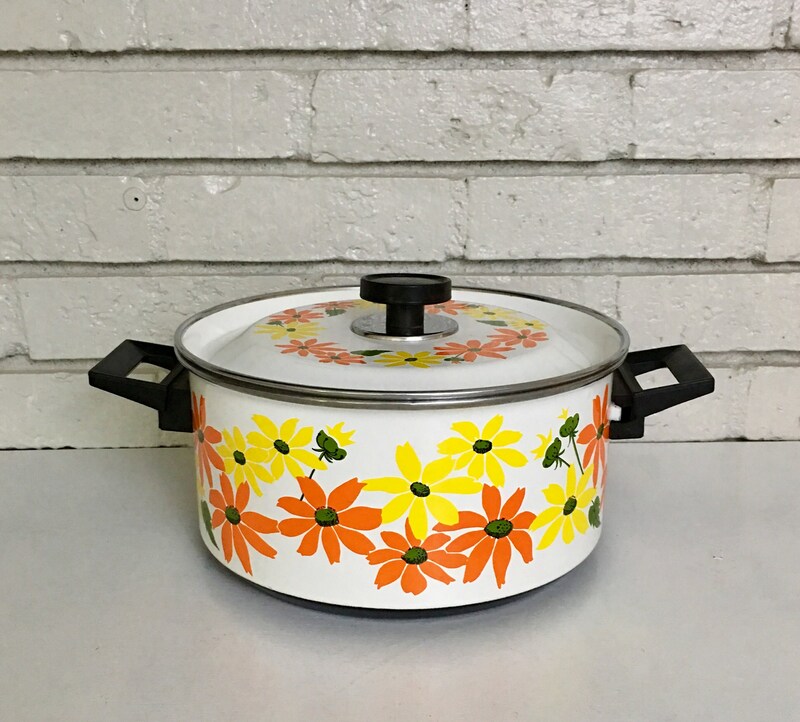 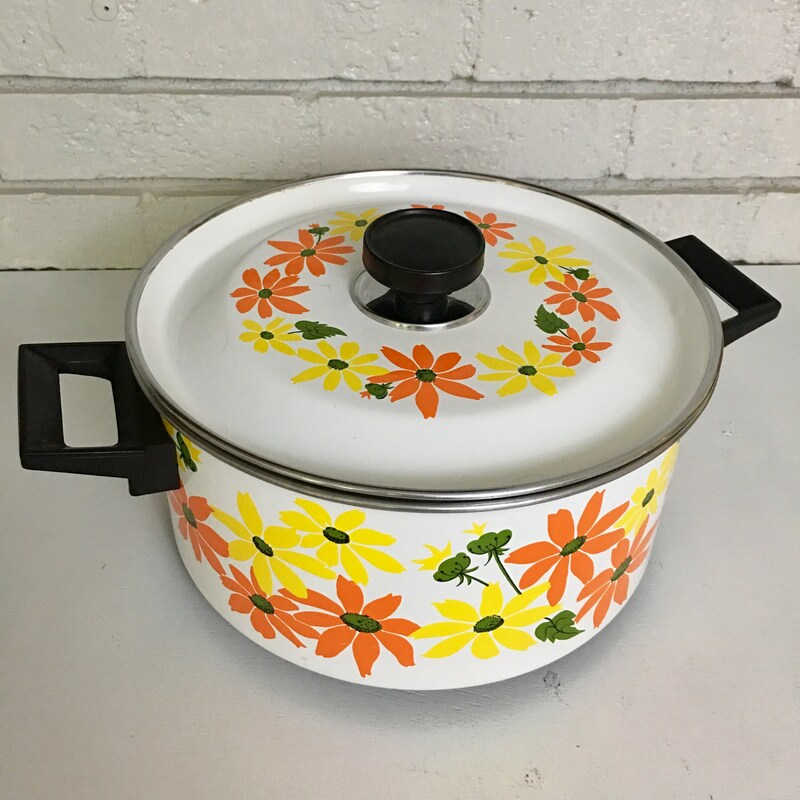 Awesome vintage stock pot by Ecko in the Country Garden pattern from the 1970s. 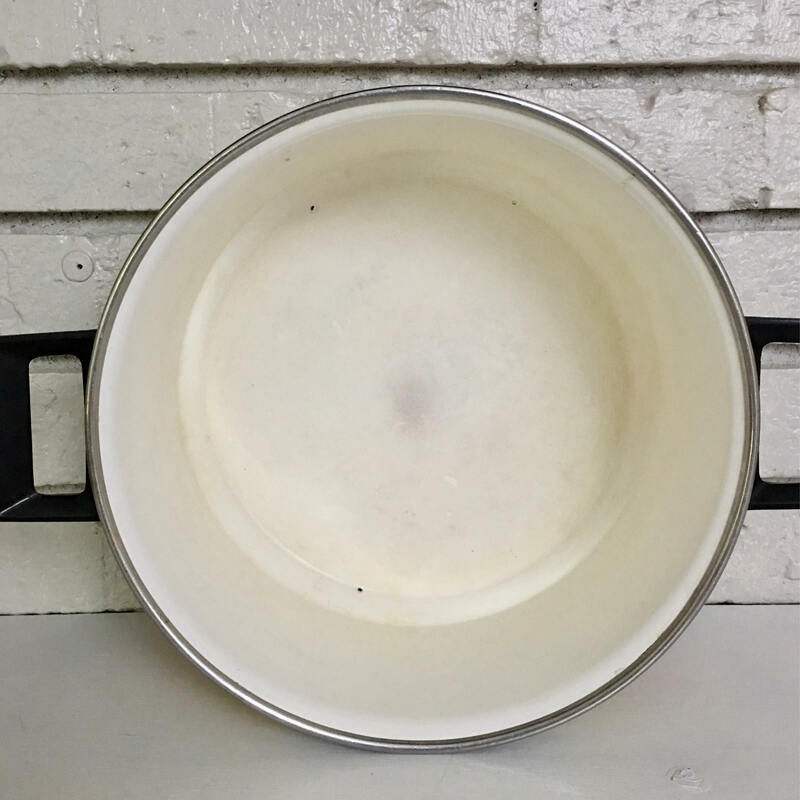 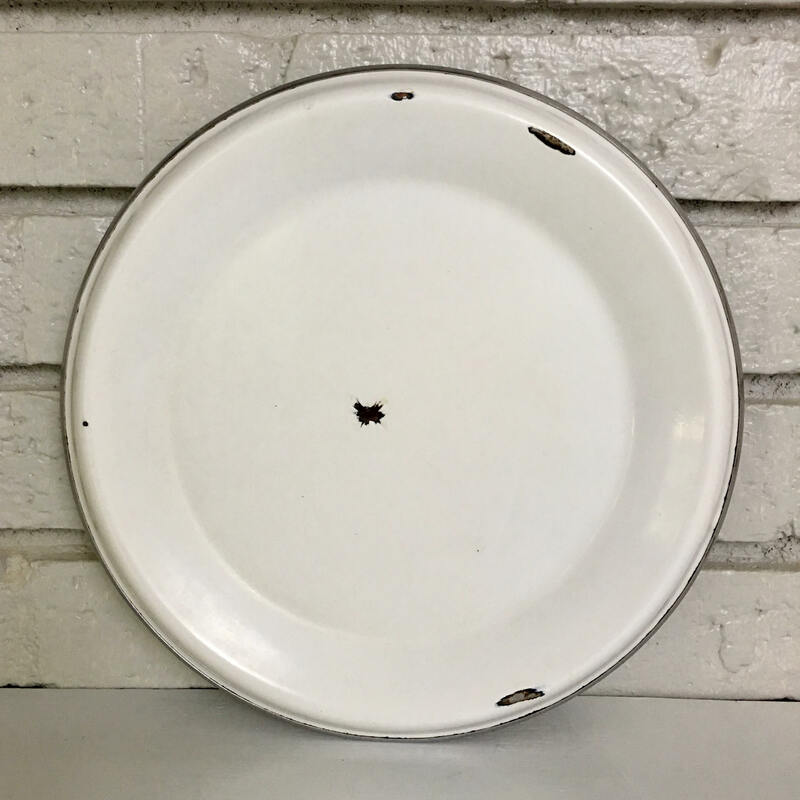 Porcelain Clad cookware made in Italy. 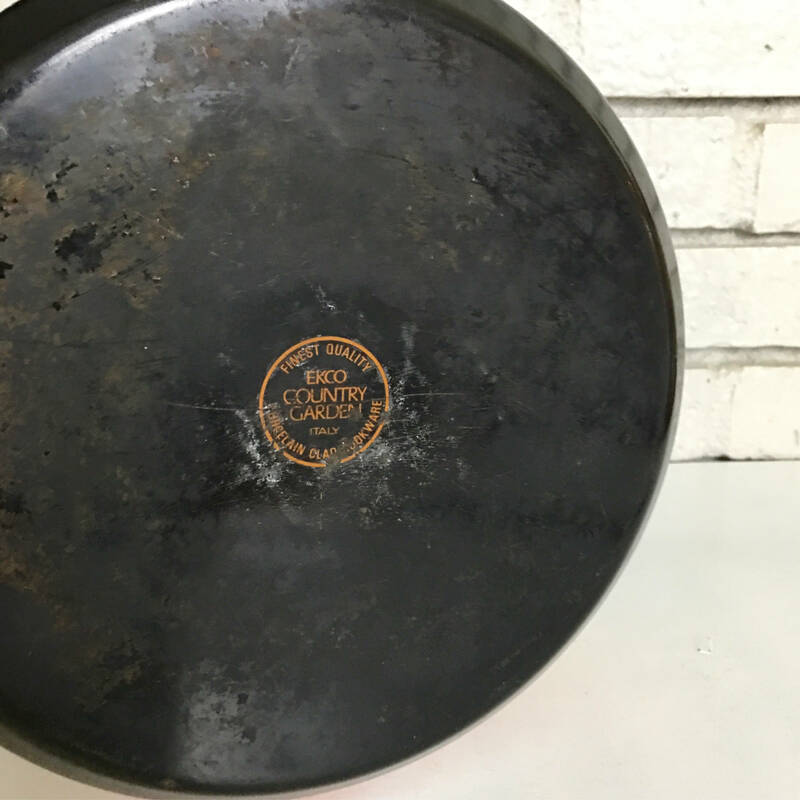 + Weighs 3 lb, 15 oz.